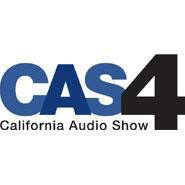 The California Audio Show is less of an industry event and more of a dealer show. This means something interesting in practice. Instead of manufacturers demonstrating their most stunning audio, what you get is folks demonstrating what they can bring to the table. There was no better example of this than the room run by Michael Woods of San Francisco's Elite Audio Systems. This deceptively simple Linn (the real one) system concealed a wealth of modern technology. An Akurate DSM ($8500) sat on a night table instead of the show-standard hifi altar. This one-box solution offers network streaming, balanced and single ended preamplification, HDMI switching, a ton of digital inputs, phono-preamplification, and an all analog signal path for analog sources. The speakers were Linn's new, $25,000 Akubarik. These are fully active, five-way speakers. An internal, analog, active crossover splits the signal between six amps (two bridged on the bass). The amps are Linn's Chakra tech, which is not Class D.
The sound here was Linn’s trademark, of course: light, fast, and musical. The sound was also a bit more than that. 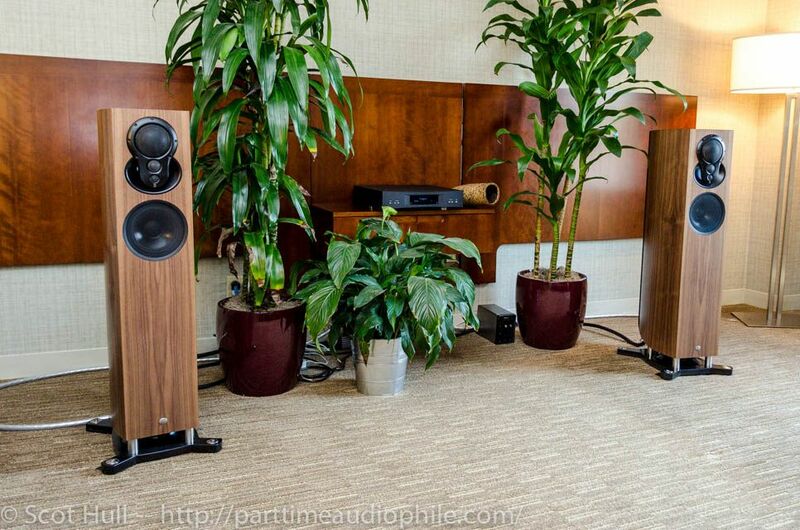 Linn’s active — excuse me, “Aktiv” — systems showcase what a well tuned active speaker can do, with a surprisingly convincing heft to the music even at low volume, and a surprising clarity as things get louder. I got the distinct impression that the new speakers hadn’t even begun to open up when I heard them. Here was an attractive lifestyle package that offered a fairly hefty chunk of the statement systems downstairs. And that, of course, is only part what Elite Audio was selling. Mr. Woods was an easy and responsive host. He seemed to be a walking encyclopedia when he needed to be, but stepped back and let the products speak for themselves the rest of the time. This all happened in a room that had none of the stink of technology worship, but instead was a pleasant and sunny room. If some dealers showed their vast product lines, and others showed their customer service, Elite Audio did a fantastic job of showing that you don’t have to be a weird fanatic to have great music around. It’s always amazing to me how a great salesman can make it all seem so effortless. The simpler streamer friendly systems that companies like Linn or Naim offer provide a great deal of musical enjoyment without needing $20,000 worth of cables and interconnects. Why would you spend more? In my case, Will, it’s because there just aren’t enough tubes. I’ll admit that’s a personal problem.